First of all, the weather was perfect. 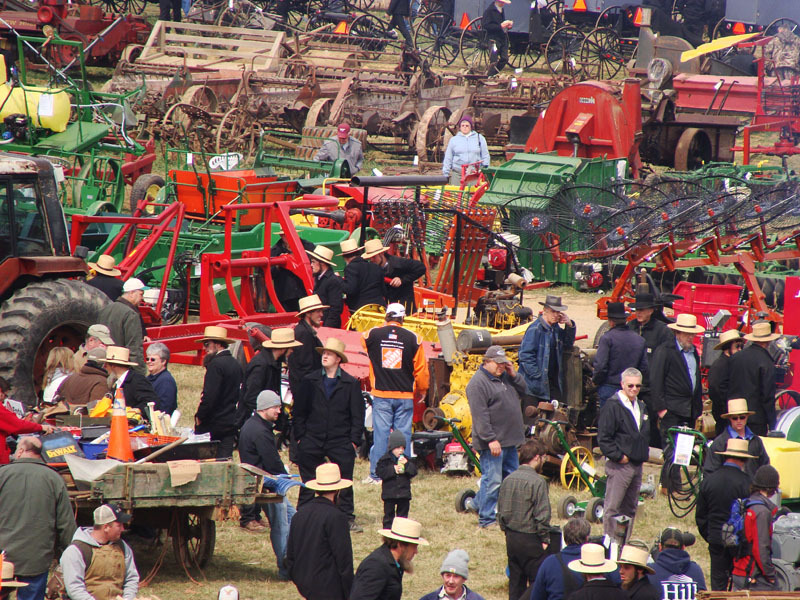 I have been to this auction in the snow and rain and mud and this year was by far the best. Warm and sunny always trumps cold and muddy. 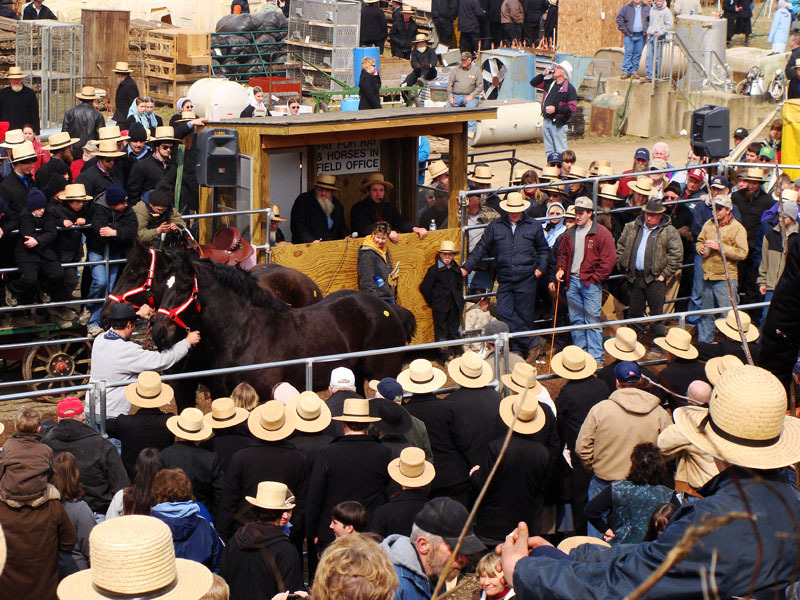 No “mud” for sale at this mud auction. 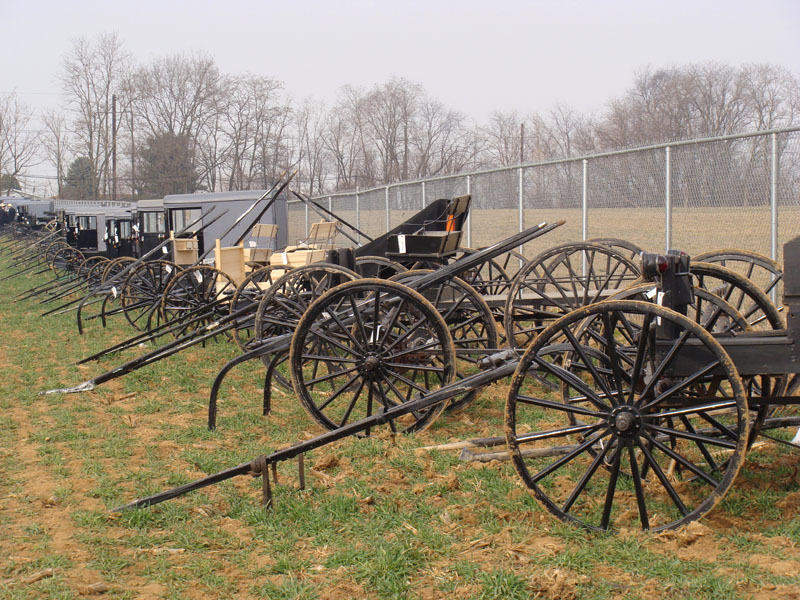 First we walked down the field of buggies where all the men were checking out the farm equipment. I actually got to walk all the way to the end this year. 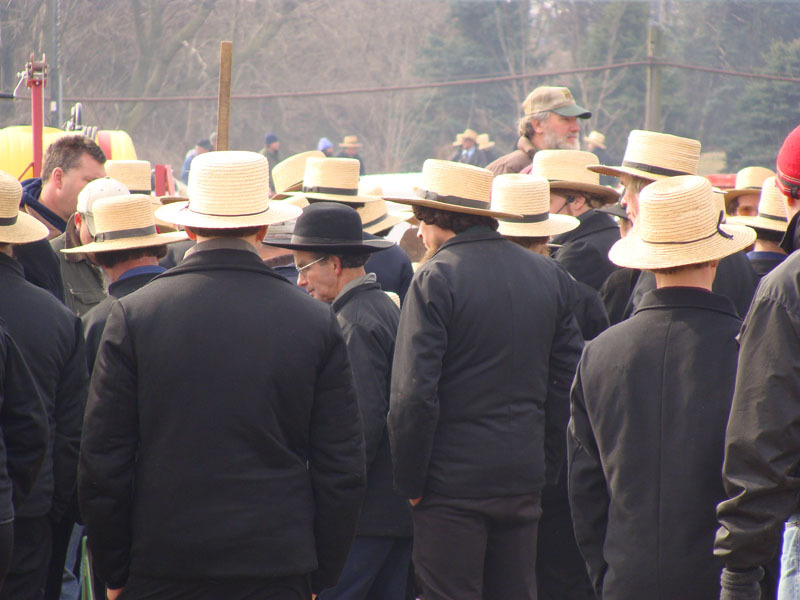 In years past you could only go part way down the field unless you had high mud boots and even then the mud was so soft you would lose a boot and have to hop on one leg, teetering, until you got it back on and unstuck from the suction of the mud. And I particularly like the description listed below. 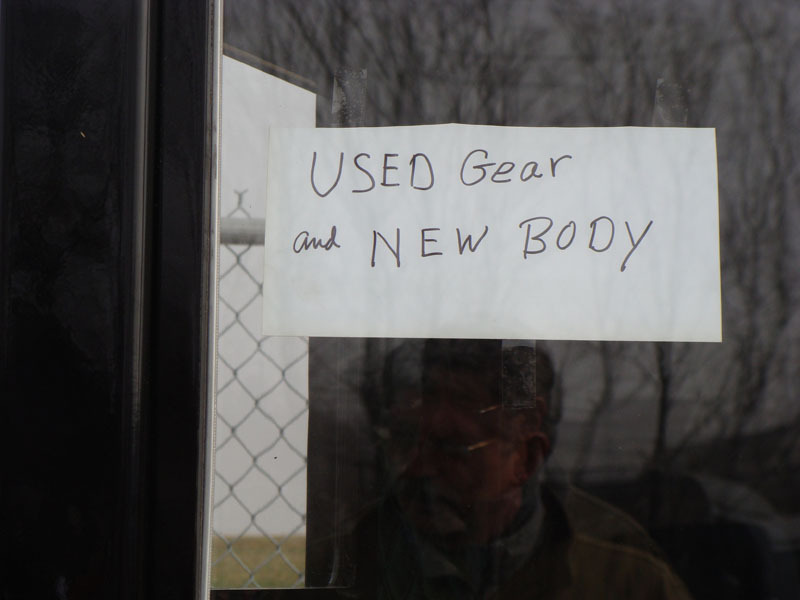 This sign could be used to describe of things, not just this old buggy. It would make a really great slogan for a plastic surgeon’s office. That’s pretty clever isn’t? Thanks for thinking of that one Kathy! Now back to the auction. 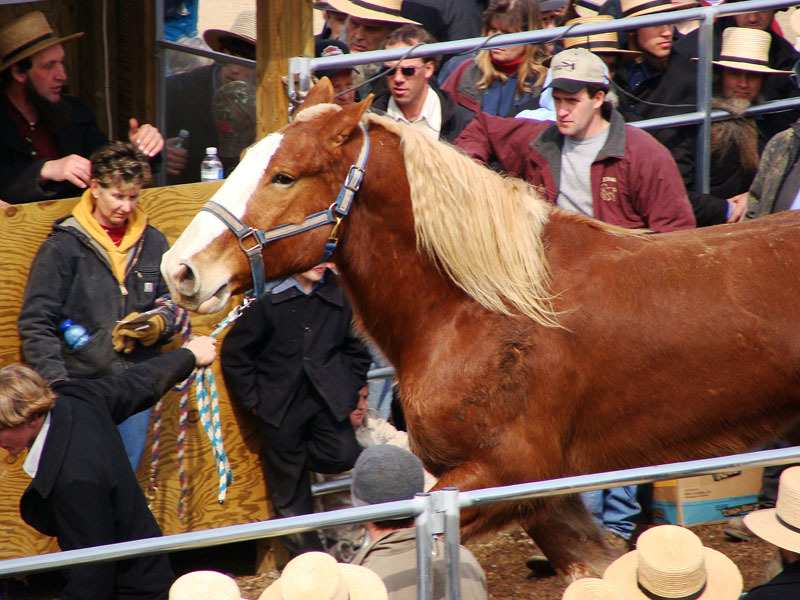 This is the horse auction. 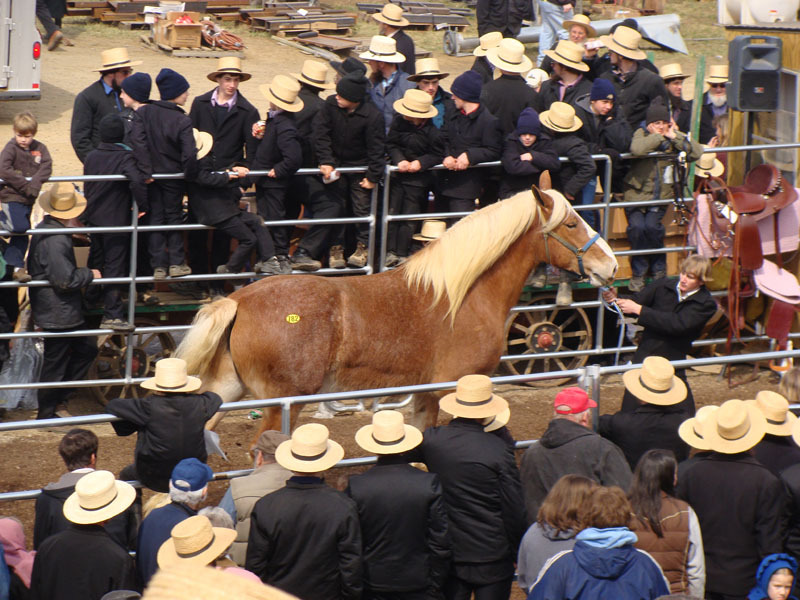 Here they are selling a team of draft horses. They were sold as a pair for $1500.00 each. This guy was a real beauty too. And now onto the quilts. 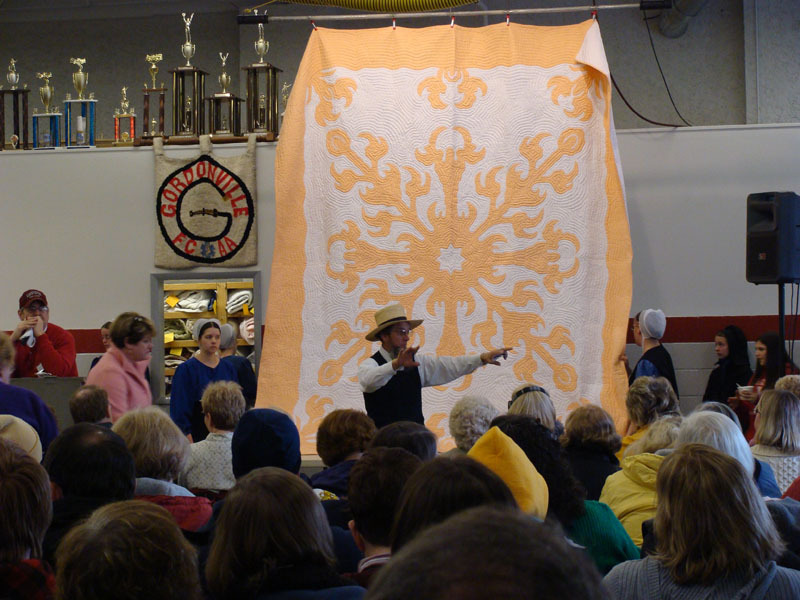 They auctioned off 602 quilts last Saturday. This one was beautifully quilted and was #273. It measured 112 x 132 and was called a Hawaiian Echo quilt. This is # #289 and is called a Framed Lone Star. 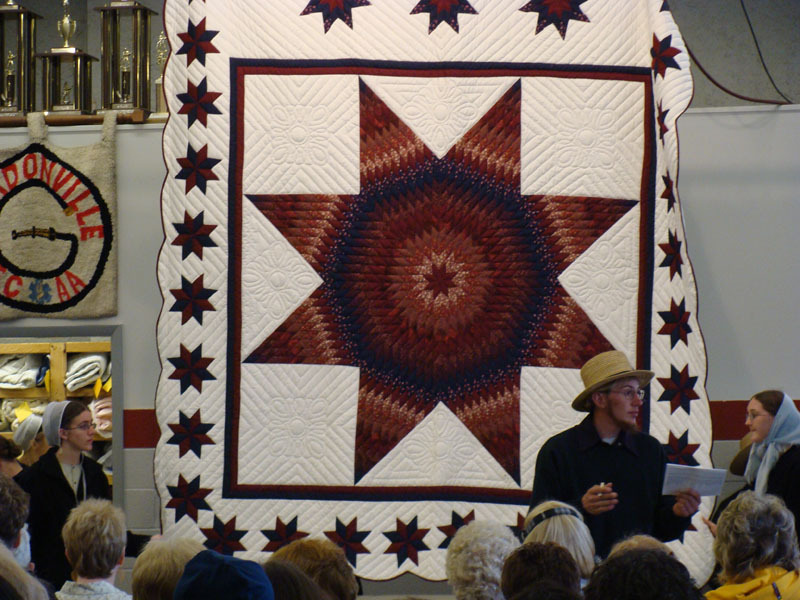 Although there were a lot of people at the quilt auction, the prices were very low. I think a lot of the dealers and shop owners were not buying and vying for quilts like last year. The economy again takes the blame. I bought 2 antique quilts, both from the late 1800′s. 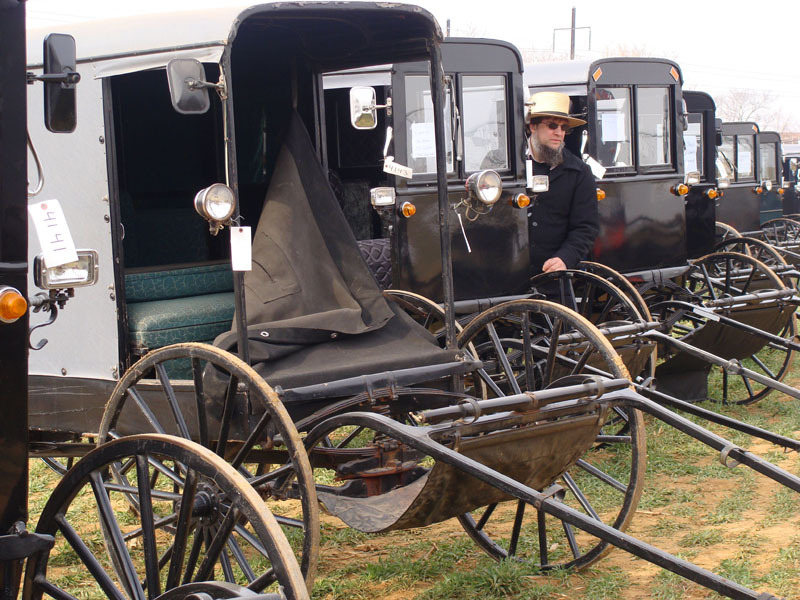 They were in excellent condition and although there were a few other bidders they bowed out fairly quickly. I got them for $250.00 each which was a great deal, if I do say so myself. The auctioneer kept asking ” can i get 265, this is antique quilt, it is beautiful” and he Kept asking and asking and I just wanted to say ” Bang down that freaking gavel already!” I would show you a picture but I was too busy bidding to take a photo. I will lay them out in the next few days and take a picture and show them to you. So I have many more photos that I will show you over the next few days but I knew I couldn’t keep you in suspense much longer after I built it up so much and so I wanted to show you these first. ENJOY!